Pre-load Ace Attorney Trilogy HD now! Defend the innocent as Phoenix Wright in High Definition in Ace Attorney Trilogy HD that will soon be released in Japan! 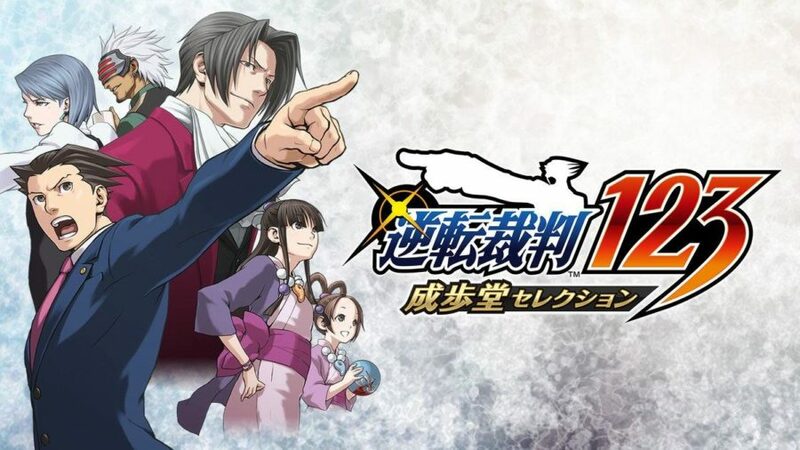 Last year in Tokyo Game Show that was held in September 2018, it was announced that Ace Attorney Trilogy (Gyakuten Saiban 123 in Japan) will get an HD remaster and will be released for the newer consoles; Namely, Nintendo Switch, PS4, PC via Steam, and Xbox One. According to Capcom last September, the game will be released in early 2019. The game, however, is now available for pre-load for the Japanese eShop of the Nintendo Switch. The game is priced at ¥3,300 and requires 1.7GB of download. While for those who don’t want to get the digital version, a physical version is also on its way. What’s more, the Japanese version of Ace Attorney Trilogy HD will support both English and Japanese languages. H̶o̶w̶e̶v̶e̶r̶,̶ ̶i̶t̶ ̶i̶s̶ ̶s̶t̶i̶l̶l̶ ̶u̶n̶k̶n̶o̶w̶n̶ ̶w̶h̶e̶n̶ ̶t̶h̶e̶ ̶r̶e̶l̶e̶a̶s̶e̶ ̶o̶f̶ ̶t̶h̶e̶ ̶g̶a̶m̶e̶ ̶i̶s̶.̶ ̶I̶n̶ ̶a̶n̶y̶ ̶c̶a̶s̶e̶,̶ ̶s̶i̶n̶c̶e̶ ̶t̶h̶e̶ ̶J̶a̶p̶a̶n̶e̶s̶e̶ ̶v̶e̶r̶s̶i̶o̶n̶ ̶o̶f̶ ̶t̶h̶e̶ ̶g̶a̶m̶e̶ ̶i̶s̶ ̶a̶l̶r̶e̶a̶d̶y̶ ̶a̶v̶a̶i̶l̶a̶b̶l̶e̶ ̶f̶o̶r̶ ̶p̶r̶e̶-̶l̶o̶a̶d̶ ̶i̶n̶ ̶t̶h̶e̶ ̶J̶a̶p̶a̶n̶e̶s̶e̶ ̶e̶S̶h̶o̶p̶,̶ ̶w̶e̶ ̶s̶h̶o̶u̶l̶d̶ ̶g̶e̶t̶ ̶a̶n̶ ̶a̶n̶n̶o̶u̶n̶c̶e̶m̶e̶n̶t̶ ̶s̶o̶m̶e̶t̶i̶m̶e̶ ̶s̶o̶o̶n̶ ̶r̶e̶g̶a̶r̶d̶i̶n̶g̶ ̶t̶h̶e̶ ̶W̶e̶s̶t̶e̶r̶n̶ ̶r̶e̶l̶e̶a̶s̶e̶ ̶a̶n̶d̶ ̶t̶h̶e̶ ̶r̶e̶l̶e̶a̶s̶e̶ ̶d̶a̶t̶e̶ ̶o̶f̶ ̶t̶h̶e̶ ̶g̶a̶m̶e̶.̶ The Japanese release of the game will be on February 21, 2019, in both digital and physical format. It is still unknown when the release date for the west would be, however. Pre-order your copy of Ace Attorney Trilogy here.